Aldershot, Farnham and District repeated their South of England Autumn Road Relays double as both their men and women took comfortable victories at the ERRA National Road Relay Championships at Sutton Park on Saturday afternoon. Their women notched up their eighth 4-stage win in a row with Steph Twell repeating her fastest lap from the first of that run of victories in 2007. Led by Twell’s 14:04 for the 4315m loop, AFD had the three quickest times as Lily Partridge and Emelia Gorecka were both within five seconds. 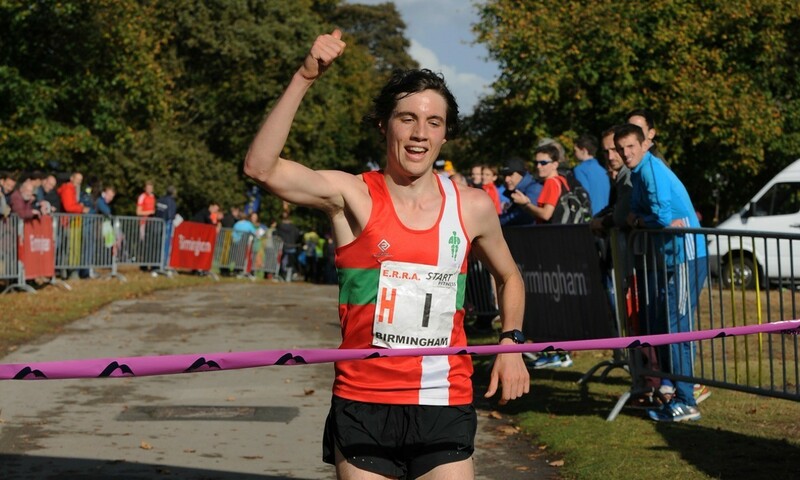 Partridge crossed the line in 57:13 to finish more than two minutes clear of Birchfield Harriers with 59:26. Third over the line was Georgie Bruinvels for the AFD ‘B’ team, the quartet clocking 60:14, though as ‘B’ teams are not eligible for medals, bronze went to Bristol & West thanks to a 60:22 clocking. The heavy morning rain had cleared by the noon start but left the tarmac slippery on the corners, a fact that may have contributed to the relatively slow times. The Aldershot men hit the front through Jonny Hay on the fourth of the six stages and, with a balanced team brought home by Joe Morwood, clocked 1:46:48 to win by 37 seconds from Highgate Harriers, who were vociferous in celebrating their first ever team medal here. Scottish club Central had their Andrew Butchart take them to within 11 seconds of the lead on the penultimate stage but they slipped away. His consolation was the fastest lap time of 17:08. Bronze went to Sale Harriers with 1:47:54.